Any eighties kid is going to be excited, and perhaps a little shocked, to learn that August 2nd sees the release of the 25 year anniversary Blu-Ray and DVD version of Ferris Buellerâ€™s Day Off. 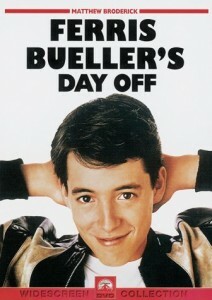 It is hard to believe that it is 25 years since writer/director John Hughes gave us Ferris Bueller. To celebrate the occasion Paramount is releasing an anniversary version. The anniversary version features special packaging and graphics as well as in-depth bonus material and features to take viewers behind the scenes and get a whole new perspective on this eighties classic.